GIRAUD is without a doubt my coup de coeur of the MYBA charter show 2018. 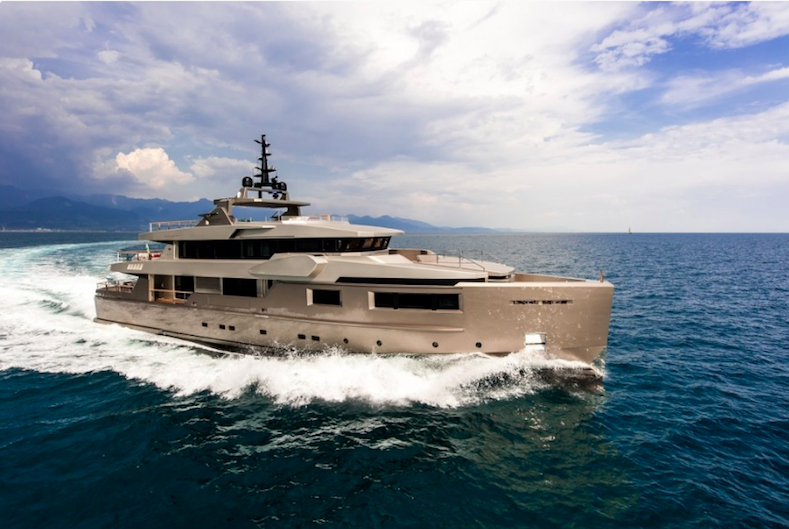 The volume of this 40m Admiral yacht is just amazing, comparable to a 50m yacht. Built in 2013 (refitted in 2018), GIRAUD has been kept in excellent conditions. The sun deck, top of the visit, is gorgeous, with spa pool, … Continue reading "Highlights from the MYBA Show 2018 in Barcelona"
GIRAUD is without a doubt my coup de coeur of the MYBA charter show 2018. The volume of this 40m Admiral yacht is just amazing, comparable to a 50m yacht. Built in 2013 (refitted in 2018), GIRAUD has been kept in excellent conditions. The sun deck, top of the visit, is gorgeous, with spa pool, spacious sun pads and a large table convertible into a ping-pong table. This tri-deck super yacht features a modern and contemporary interior with refined decoration. She sleeps up to 10 guests in 5 ensuite cabins including a full beam master cabin equipped with an office and spacious his & hers ensuite baths. She also offers a wide range of water toys with a new slide this year! Last but not least, GIRAUD’s crew is impeccable. With a positive and very professional attitude, they pay attention to every detail. To sum up: great yacht, great crew! 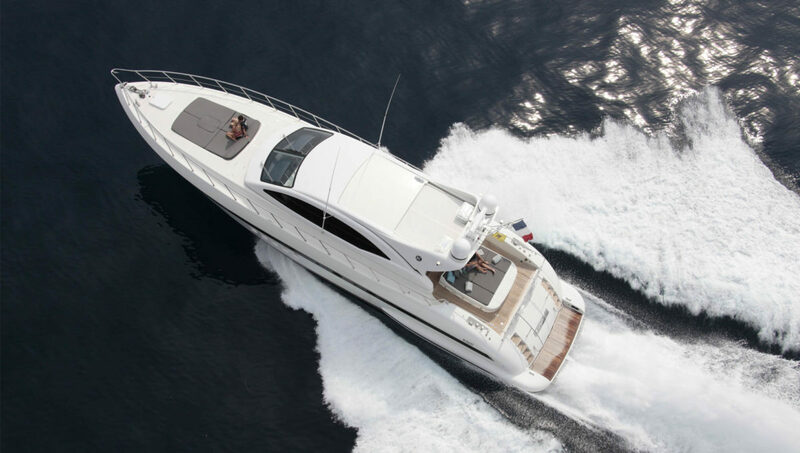 I highly recommend her for an unforgettable yacht charter in the Mediterranean! Share the post "Highlights from the MYBA Show 2018 in Barcelona"